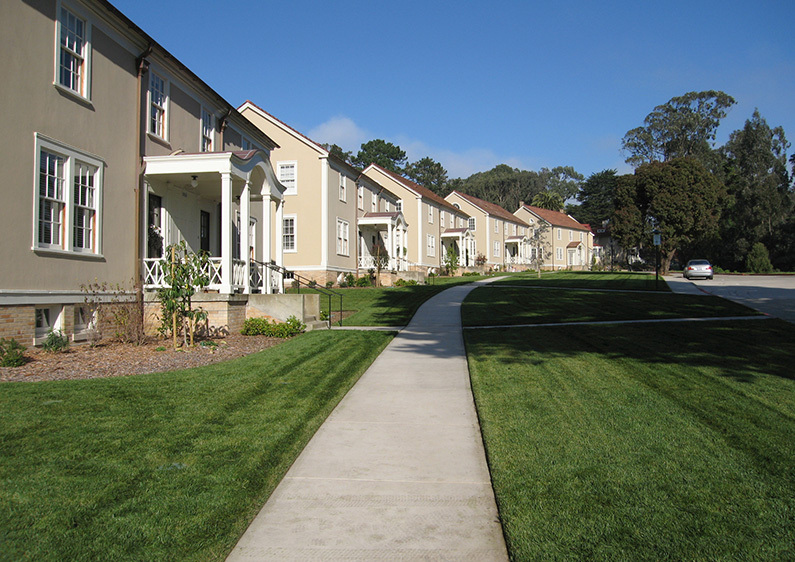 SWLA has completed the renovation of the historic Wyman Avenue neighborhood in The Presidio of San Francisco. This neighborhood, located on a rise above Mountain Lake, is comprised of seven homes that were built from 1915–1930 for physicians who worked at the Public Health Service Hospital. The project included the complete renovation of the buildings and the adjacent landscaping in accordance with Secretary of the Interior Standards for the Treatment of Historic Properties. The scope of the landscape work included the analysis of existing planting as well as the preparation of new landscape and paving plans which reflect the historic and cultural landscape of the neighborhood and of The Presidio.